Michael Stucker is a Senior Lecturer in Audio Engineering and Sound Production at the Indiana University Jacobs School of Music. He has developed and teaches a sequence of 4 electronics course for Audio Engineering and Sound Production Majors. 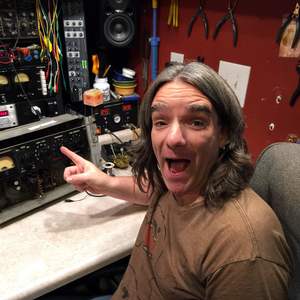 In 2014 he began creation of an online Certificate in Analog Audio Electronics which is open to all students. He has also developed and teaches courses in mixing and digital production. Stucker continues an active professional career including work as technical engineer for artists including: John Mellencamp, The Fray, and producer/engineer Warren Huart (Aerosmith, James Blunt, X Factor). He is also an active recording engineer with credits in television, theatrical productions, and live sound design in addition to many genres of music recording. His career has included work with: Beaux Arts Trio, John Mellencamp, T-Bone Burnett, The Fray, Howie Day, Eddie Kramer, Over the Rhine, Tori Amos, Third Watch (NBC), PBS, Robert Mirabal, Blast!, Don Gehman, David Thoener, Superchunk, and many others.